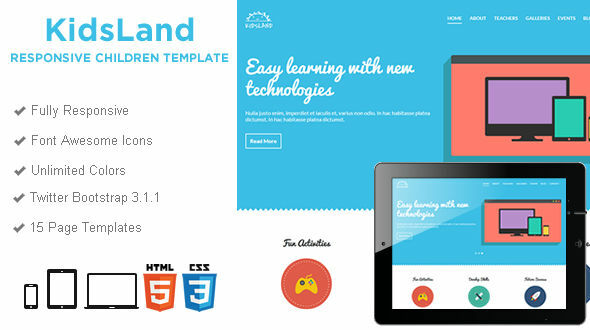 Kids Land is a premium responsive HTML template designed for kindergarten, primary school, children clubs or day care center. It is very nice, clean and easy to use and looks amazing on any device. The template comes with 15+ HTML pages buit using Twitter Bootstrap framework and Font Awesome icons. For the text styling you can access more than 500 Google Web Fonts. For questions / custom work related to our products don’t hesitate to contact us via private message.